Certainly, one of the greatest pleasures of being a Toronto resident is taking in all our diverse scenery, from the denticulate cityscapes offered by the Toronto skyline and the rich Riverdale and Scarborough parkscapes, to the towering autumn forests ablaze with scarlet and gold. When we are enjoying scenery, we often do so from the comfort of our own homes. Windows have a hard job, keeping out the hot and cold weather, wind, snow, rain and hail. The glass must withstand debris, UV rays, age, changes in air pressure, poorly-tossed baseballs, and, the truth is, windows can’t hold up forever. As your windows age, they are prone to a notorious “view-blocker” called condensation. Old, cloudy windows can hinder your view, and eventually make even the most picturesque scenery dim and hazy. Maybe it’s happened to you. You wake up one day and notice your view of the sparkling, lake-studded Toronto landscape is a little cloudy. You wipe the inside of the window with your sleeve, but the fog remains. Then you wipe the outside glass pane and get the same results. Suddenly, you realize that the fog is coming from inside the two panes. The condensation may disappear for a little while, but it always comes back and it never stops spreading, always becoming denser and more obtrusive. Unfortunately, once moist air enters through a bad or broken seal, it’s only a matter of time before fog spreads and ruins your window. On the bright side, however, sparkling new windows will let you savor your vibrant Toronto view better that ever. Remember, a window can make or break your view, so keep this in mind when choosing your windows! Picture windows are excellent for maximizing light and providing unobstructed views-both inward and outward. They offer excellent waterproofing and insulation abilities, and are incredible durability. With no operable parts, they are also very easy to clean and maintain. Bay/Bow windows are also a good choice. 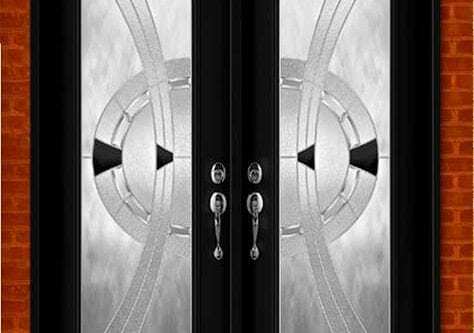 They are three-dimensional and excel at expanding interior light, space and view. Instead of facing all your furniture towards the center of the room, try arranging it to maximize light exposure. According to studies, natural light boosts mood, productivity and health-enhancing chemicals. Early morning (winter) sunlight is particularly valuable. Light reflected from a mirror that’s placed directly across from a window will amplify the effect, enabling the view from window to be viewed from multiple points.You will be pleased to know that clear, unhindered views are only the beginning of the benefits replacement windows offer. Firstly, as any homeowner knows, a beautiful view increases a home’s value significantly. In addition, energy efficient windows will actually lower your energy costs! What are you waiting for? Don’t let your old, foggy windows get in the way of soaking up your view of the Toronto tundra or marveling over the breath-taking pastel sunsets over Humber Bay. 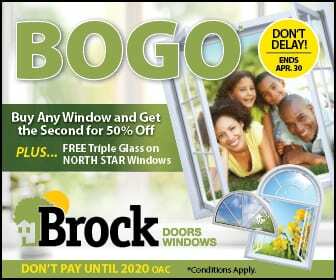 Contact Brock Doors and Windows today for your Toronto, ON replacement window needs.